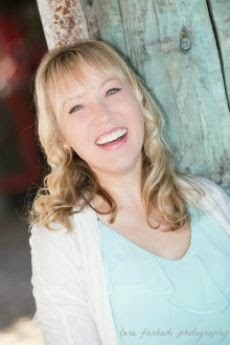 Scroll down for a free book! 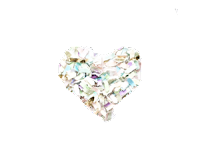 Told with humor and heart, Love, Hate, and Other Lies We Told may appeal to readers who enjoy Alice Clayton, Sally Thorne, and Emily Giffin's work. If you read Love, Hate, and Other Lies We Told & like it, hugs for a review on Goodreads. Thank you! This can be read as a standalone, but reading Love, Hate, and Other Lies We Told first will provide a richer reading experience. If you enjoyed this book, please consider leaving a review on Amazon and Goodreads. Thank you! Each of the 7 books in the Follow your Bliss series can be read in succession or read on their own. They're linked, but stand alone and don't have to be read in order! Start wherever you like! 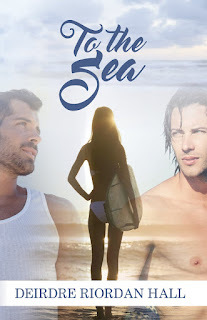 Before: There’s Kira in her little white dress, and then Ian, who realizes sandy feet and cold feet are synonymous. 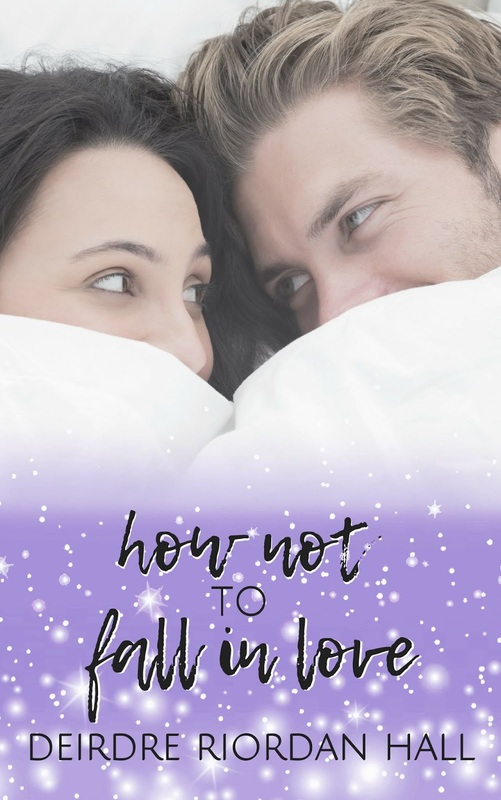 Brighton careens recklessly from bachelorette party to torn bridesmaid’s dress pre-wedding march, and Alex finds himself drunk at the altar, in Vegas. Baskia, not sure marriage will ever be in her future, gets okay with uncertainty, despite how fabulous she looks in a gown…and then there’s Trace, who, after a long and winding path, finds himself saying all the right things to the one. 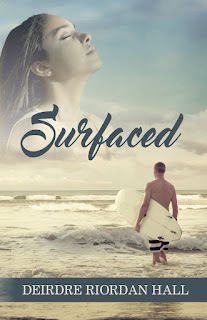 After: With a wedding planned in Hawaii, the events during the days leading up to the I dos are a gloriously tangled mess of lives overlapping, past loves reappearing, and drama igniting. 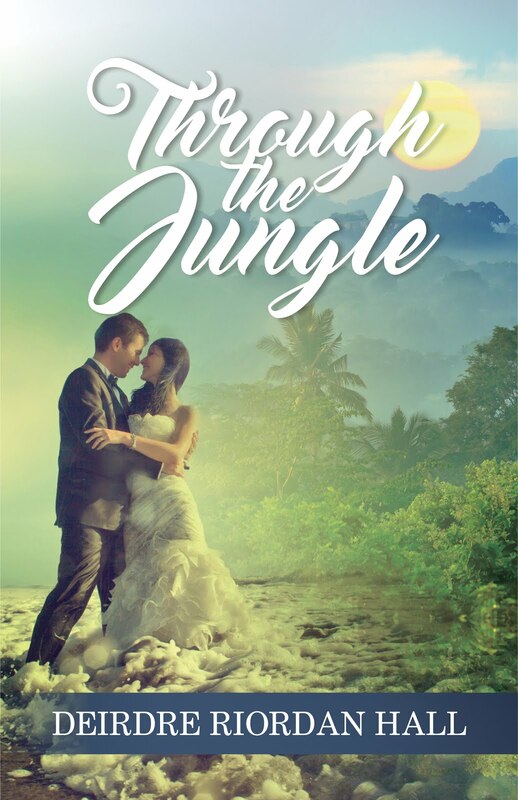 Engagements, rehearsal dinners, wedding ceremonies, and an escape to the jungle brings everyone right to the edge, discovering happiness is imperfect, then sends them over, whooping and laughing into the pool of bliss below. The first several chapters are a prequel to the Follow your Bliss series and the subsequent chapters follow-up, uniting the characters on an island in paradise. 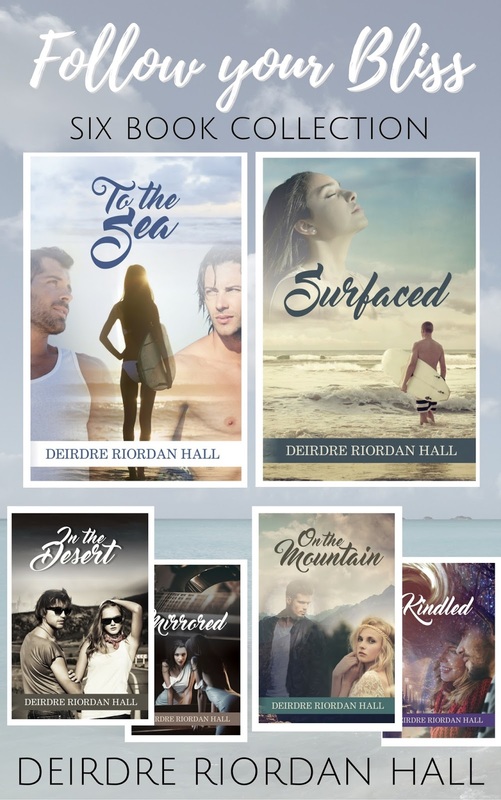 Told from the unique perspectives of the main protagonists from each of the Follow your Bliss books, readers get to dive more deeply into the sometimes chaotic, messy, and always wildly flawed lives they’ve followed from tragedy and confusion to bliss. You can get all six Follow your Bliss books in one place! Click for your Amazon or iBooks, Nook, Kobo, or other digital reader copy or continue to scroll down to read about each book individually. By eighteen, Jamie Burke was a pro surfer capturing the hearts of surf fans everywhere. By twenty, he broke just as many hearts trading his prowess on the waves for sultry nights spent between the sheets. By twenty-two, he lamented losing the woman who changed him. Then he disappeared. 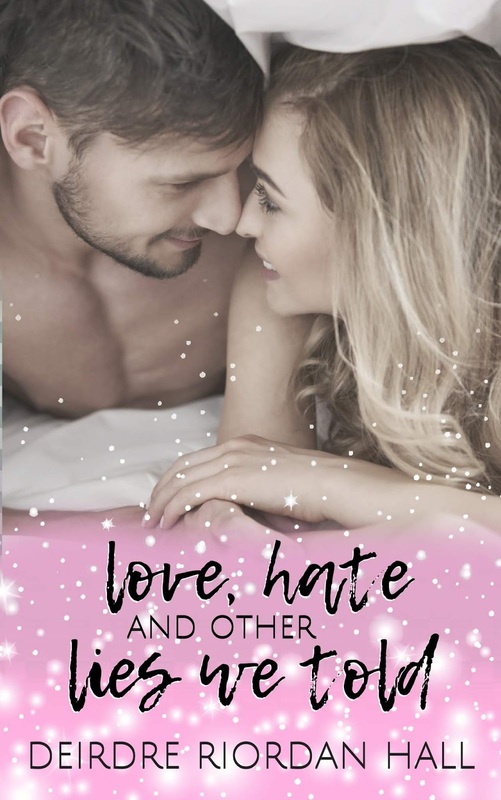 When Jamie surfaces in his hometown in Australia, he discovers his high school sweetheart has moved on, but that doesn’t stop him from believing that she’s the one. He’ll do whatever is necessary to win her back, even compete in a surf-off against tough Mik Tanaka, aka Tank. Awash on the shore, Jamie also finds pieces of his broken family—a father who took off, his disappointed mother, and a brother who has a secret—and it’s up to him to help put them back together. As he reunites with familiar faces, rallying around him, he might just have to redefine what family means. Jamie spent years chasing a dream all over the world and doesn’t expect the waves to carry him right back to where he started. Only he can claim the treasures his return home by the sea offers: love, family, and truth. But as he fights temptation, sinks to the depths of despair, and struggles to open up, his biggest adventure will be dropping anchor. 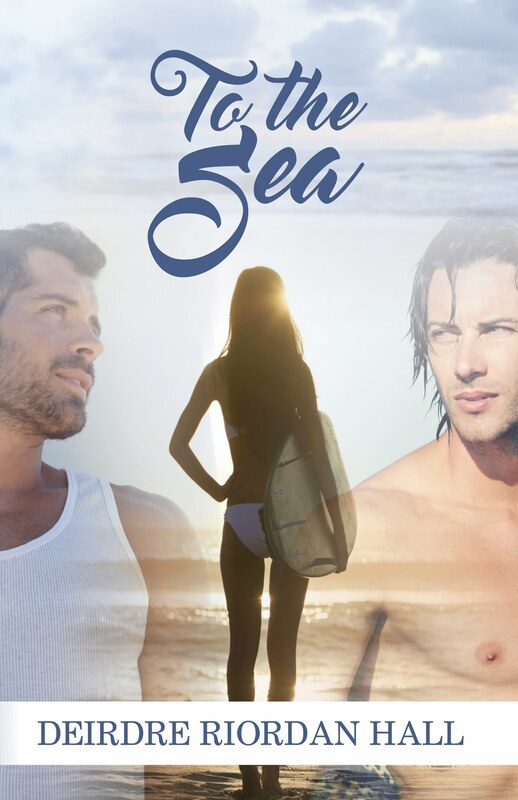 This fresh follow-up novella, for the new adult novel To the Sea, takes readers back to the beach with Kira’s hot fling, Jamie. 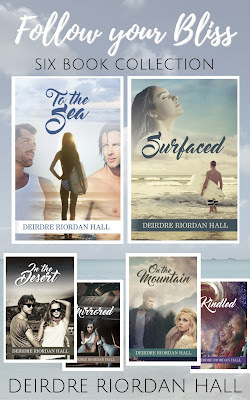 Book Two in the Follow your Bliss Series, Surfaced can be read after To the Sea, or as a stand-alone, quick beach read filled with romance, surfing, and transformation. 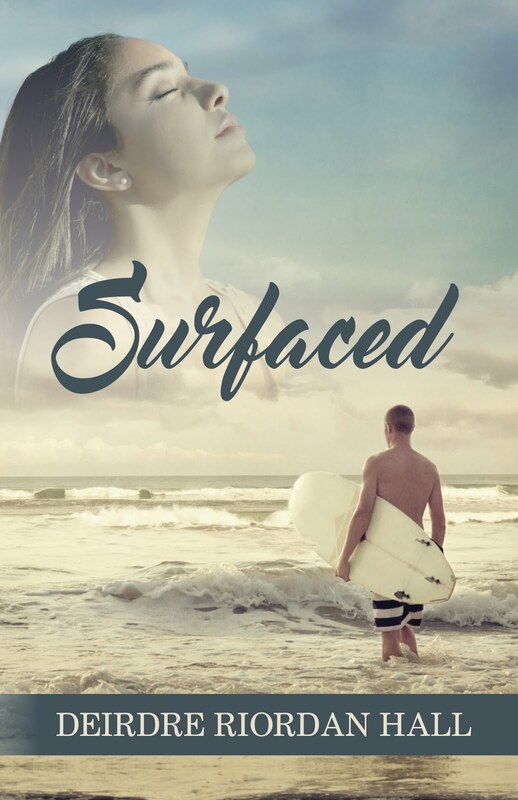 If you read Surfaced & like it, I would totally appreciate a review on Amazon or Goodreads. Thank you! 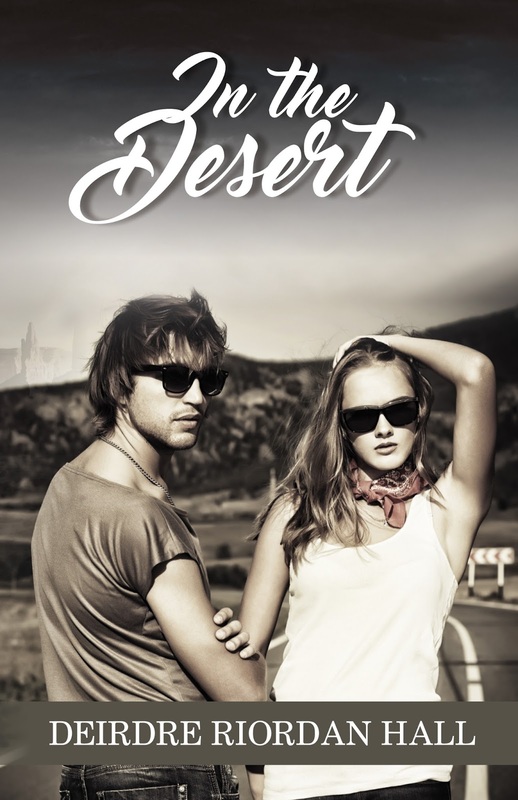 If you read In the Desert & like it, a review on Amazon or Goodreads would be super. Thank you! Alex Stihl, notorious rocker, known for food fights, guitar wars, and riots, found love on the road with wild-child Brighton Holmes, eventually calming his alcohol-infused mayhem. At the end of his band’s summer tour, he wants nothing more than to spend a few quiet weeks by the sea with his guitar and his girl. When he discovers her reluctance to visit is because her mom faces a health crisis, his attention turns to his own mother who split when he was born, leaving him cracked with insecurity and anger. After Brighton relents and books a ticket to the UK, Alex gives her a tour of the London her late father knew, splintering her old grief. Their trip to see his grave brings relief, and a week spent in Alex’s hometown in Scotland, draws out mischief. All the while, paparazzi harass them, culminating in a frenzied night when Alex says goodbye to his dying mother, an impromptu performance at a rock club, and band-member Finn revealing he’s taken up with Alex’s crazy ex-girlfriend, and then quits the band. When Brighton discovers film, photos, and articles intended to grind up Alex’s reputation in the industry fame machine, chaos ensues on the damp streets of Glasgow. If he can tear himself from the madness, his biggest hit will include a sunset in the sand and a duet with his girl. This follow-up novella for the contemporary romance, In the Desert, brings readers back to Brighton and Alex’s rock-and-roll world. 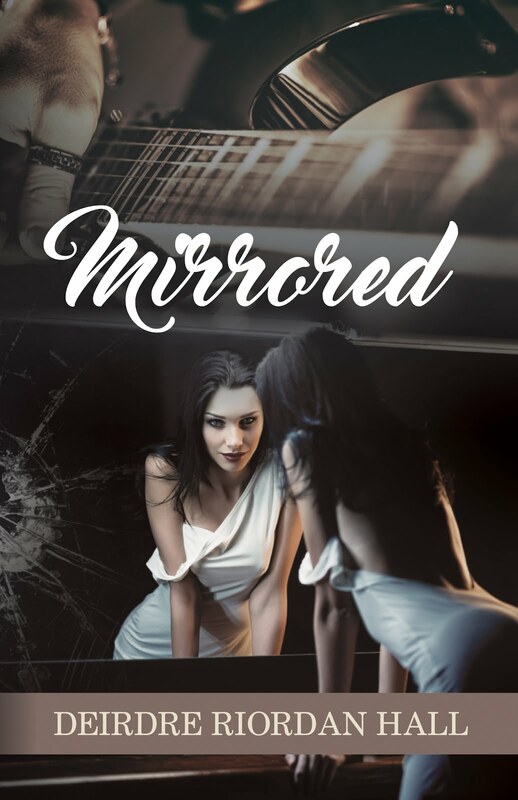 Book Four in the Follow your Bliss Series, Mirrored can be read after In the Desert, or as a stand-alone, short story filled with love, music, betrayal, and forgiveness. If you enjoy Mirrored, a review would be smashing! Thanks! Drinking and dancing at the hottest NYC clubs? Check. An unsettled feeling about the future? Um, check. Pressure to begin college and an epic blowout with her best friend, turns Baskia Benedict’s party life toxic. Late nights bubble with drama, her relationship with her “not-boyfriend” fizzles, and failing to meet her parents’ expectations results in an escape to the family cabin in the mountains. Unexpectedly, her brother’s friend Trace appears, seeking refuge from his own obscure problems at the rural hideaway. All Baskia needs are a few days to get her head clear, but Trace distracts her with his smile—always on the edge of amusement—and infuriates her with his seductive charm. When the rumble of his motorcycle fades, Baskia focuses on figuring out her future and nursing a not-so-healthy crush on Trace. As days turn into months, Baskia stubbornly remains at the cabin, determined to find her purpose and secretly hoping for mysterious Trace to return. After she meets locals—including getting snowed in with her cute neighbor—learns how to cook, and mends past relationships, she discovers the simple life might just save her from herself. Although Baskia transforms and gains independence, Trace returns and stirs up trouble, challenging her to follow her ultimate bliss. On the Mountain, is book five in the Follow your Bliss series. It can be read chronologically, or as a stand-alone story, filled with seduction, transformation, and love. 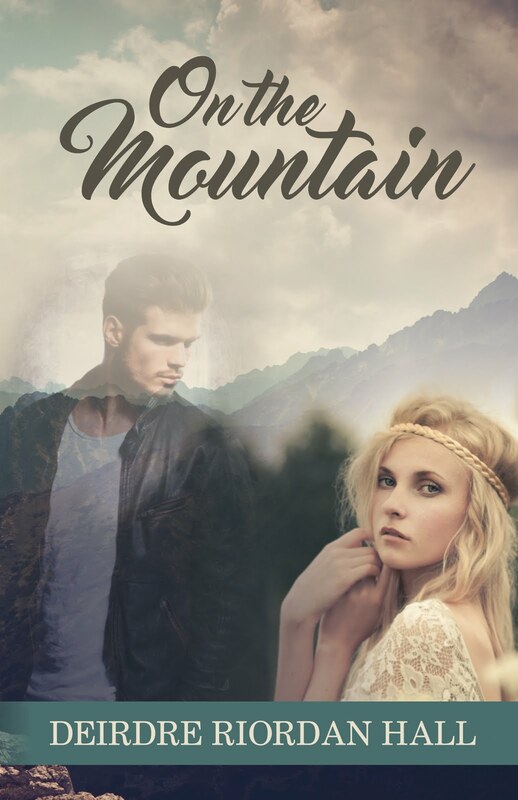 If you like On the Mountain, leaving a review on Amazon or Goodreads will help other readers discover the novel. Thank you! A car accident rips the Carter family apart, leaving Wes to struggle through the loss of his parents and landing his sister, Maisy, in a coma. He waits and waits, putting his life on hold as he clings, desperately to hope. When she wakes, it appears as if she’ll make a quick recovery allowing him to return to school. When Wes visits Maisy over holiday break from college, he learns she’s vanishing into the void of grief. Despite the long phone calls at odd hours, the support, and near-constant attention, nothing he’d done to help—that ate up his sleep, social life, and study hours — was enough to save her. On Christmas Eve, the surrogate family who carried Wes through the months of uncertainty gathers to celebrate. Mellie, the girl Wes would like to call his sweetheart is there with a demure smile that knocks him off his feet. But Maisy’s presence is like a blemish, a reminder of how broken the Carter siblings are. An unexpected guest appears and shakes things up, exposing a secret that prompts Wes to question his sister’s integrity. He seeks an escape, but the snow falls fast and he can’t outpace the frigid thoughts blanketing his mind. Through the night, he struggles to make sense of how difficult it is to heal after loss. Christmas morning brings blue skies and a renewed perspective for Wes. He presents a colossal gift to the group and something extra special for Mellie. He hopes to win her heart, mend his relationship with his sister, and find his way back to bliss. 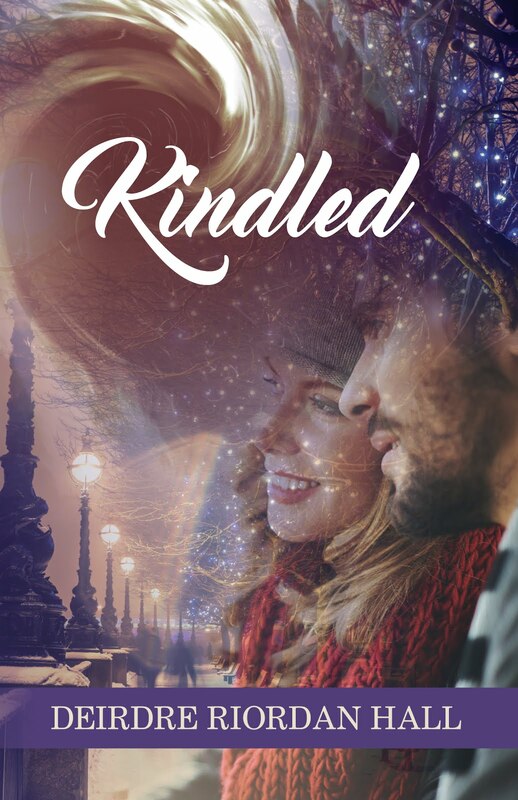 If you enjoyed Kindled, I'd love to hear what you think! Please leave a review on Amazon or Goodreads. Thank you!